Oklahoma Poker – Is Online Poker Legal in OK? Oklahoma is a mixed bag when it comes to poker. And spoiler alert, it’s a bag that’s not weighted too much in your favor. You CAN’T play home games. You CAN’T play online poker. And it doesn’t look like things are going to change for the better, either. At least not anytime soon. With that being said, there are more than 90 casinos throughout the state. Many of them spread poker games. In fact, all the ones I found using Google have more than 15 tables and spread Holdem, Omaha and Stud cash games and tournaments. Anyway, that’s the gist of it. But you can read on for the specifics behind Oklahoma’s poker laws. This is kind of interesting – considering how many casinos there are in Oklahoma – but they do not have home or social gaming language in their laws. Therefore, it’s illegal. Any person who bets or plays at any of said prohibited games, or who shall bet or play at any games whatsoever, for money, property, checks, credits or other representatives of value with cards, dice or any other device which may be adapted to or used in playing any game of chance or in which chance is a material element, shall be guilty of a misdemeanor…. What’s worse is the state’s enforcement agencies are known to bust illegal poker games and even make arrests. In fact, there was a story from December 2013, about an undercover cop that attended a poker tournament at a bar. Apparently this tournament was (supposed to be) free. However, the organizers started to ask for money in exchange for chips. Once this happened, law enforcement quickly began arrest players. It doesn’t sound like that story is typical. But it still doesn’t make me feel good about playing in a smaller poker game. Online poker isn’t covered by Oklahoma law, either. And since they have no language permitting or exempting it – it’s illegal. And the worst news is that it doesn’t look like it’ll get any better in the future. We base that assumption on s state statute called bill SB955. This is expected to pass, and when it does, it will prohibit the sale (and participation) of online lottery games. Why Is This Bad For Online Poker? Because many states – even those that look down on internet poker – have already legalized online lotteries, or are at least working on it. If they’re not willing to pass an online lottery, what makes you think they’re regulate online poker – a game that most people think is made of luck and not skill. There is a bit of good news, though. There are TONS of casinos in Oklahoma and many of them spread poker games. You just need to use Google to find them. Choctaw Casino – They have more than 30 tables. WinStar World Casino and Resort – They offer 46 tables in a smoke free environment. You can play no limit and limit holdem and omaha. Riverwind Casino – They have more than 17 tables where they host both holdem and omaha tournaments and cash games. Downstream Casino Resort – They offer holdem, stud and omaha cash games and weekly tournaments. All in all there are more than 90 casinos in the state. So, there’s bound to be a casino near you that spreads live poker. Many of the casinos here attract some of the bigger names in poker, especially when the WSOP Circuit events come to town. Some of the local tournaments have even featured 1st place prizes well over $200,000 and up. 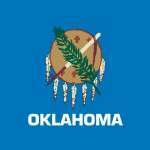 Will Oklahoma Regulate Online Poker? Experts think online poker could be regulated some time between 2017 and 2019.
Who knows, really. Like most states, you have to be cautiously optimistic about this, especially since there are only a handful of states who even have legal iGaming options today. What people do expect, though, are the tribal nations to have a strong influence on whether online gaming is regulated in the future. That’s not a bad thing, either. Not long ago some of Oklahoma’s Indian tribes offered online poker, thinking it was okay per their agreement with the state. The state disagreed, though, and told them to take it down. The state did say the tribes could leave it up, but only if they offered poker to players outside the US. And only if the state got a 20% cut of the revenue. At that point the US government said no and shut them down promptly. But that has to make you somewhat hopeful for the future. So, we’ll have to wait and see. But I’m optimistic.